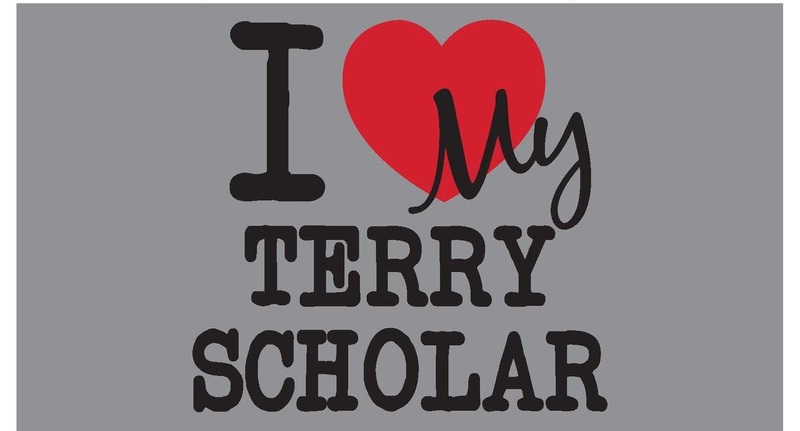 We know how proud you are of your Terry Scholar, now it's time to tell everyone else! 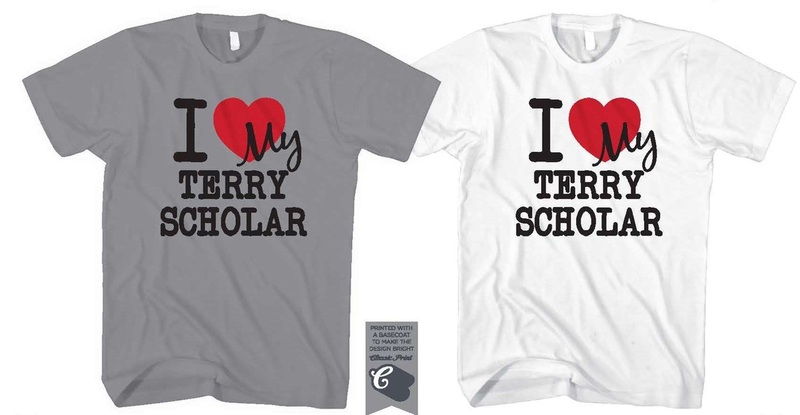 Order "I love my Terry Scholar" shirts for the entire family! We are collecting order for this shirt online through June 15th. It will take about 2 weeks for us to receive the shirts after the order is placed. Shirts will be mailed out by June 30th. Send a care package to let your scholar know you care. Celebrate a birthday or send get well wishes to your scholar. Texas Tech Scholars who live on campus will have their packages delivered. Those off campus will be notified and can come by the Honors College to pick up their greeting. 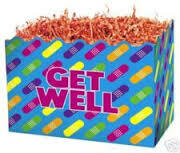 We will ship Birthday Bags or Get Well Boxes to any scholar current or alumni. 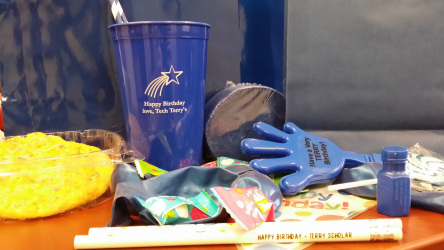 Birthday Bags include things like: balloons, bubbles, a birthday cookie, Terry personalized pencils and tumbler and candy.